Happy holidays! 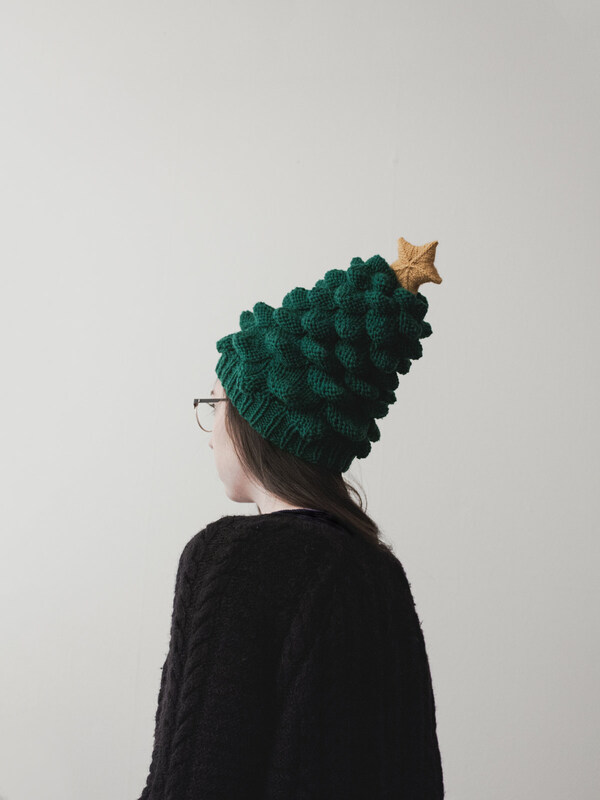 I’m not terribly big on Christmas so I surprised myself when I decided to knit this hat on a whim, and surprised myself again when it worked! A while back my friend showed me a very cool sweater she had with a fascinating 3-dimensional stitch pattern that looked like dragon scales, and that’s the stitch that popped into my head when I started thinking about how I could knit a cartoony shaped tree. The yarn is some mystery green DK yarn that another friend gave me years and years ago (thanks friends! ), held double for max effect, and speed. 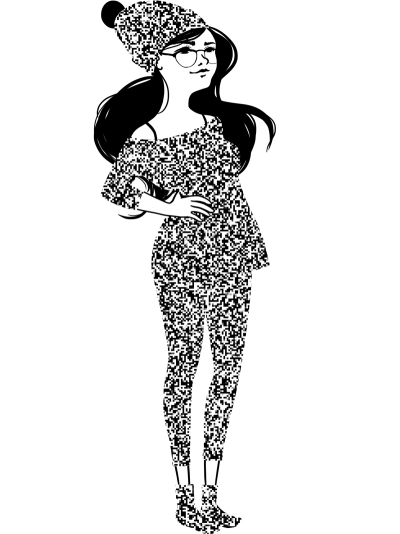 The star is the Stjärna pattern – adorable, easy and free. I figured when the novelty of having it as a hat wore off, I could always use it as a tree so it’s been sitting on my fridge (where else) next to my ‘real’ tree (a tiny fake thing but it has balls and lights and all! ), stuffed with a big skein of yarn to hold its shape, ready to be converted back into a hat to entertain any visitors 🙂 It kind of overshadows my other tree now, so I think next year it will get the lights, and maybe some tinsel and pom-pom decorations and become the official tree. 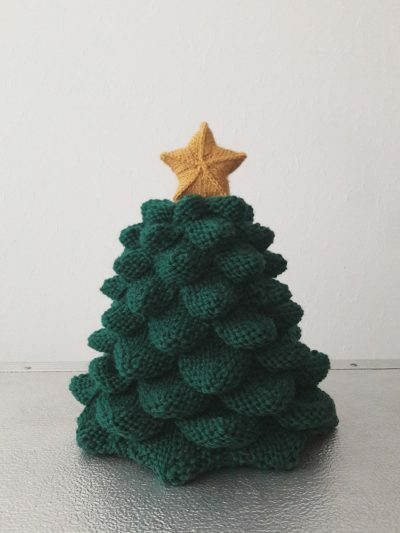 After all, what’s more fitting than a knitted tree for a knitter? I love it : ) Nice use of the dragon stitch too. Thanks! It was a great swatching exercise too, it’s a very cool stitch. Hi have been obsessed with the dragon stitch all summer and love how you have used it here just wondered if you published the pattern for sale please? Hi, sorry, I never did get around to it. Not ruling it out but if I do it wouldn’t be until next winter ? Good luck if you decide to experiment and swatch!